This is my 17th post for my 30 Day Blog Challenge. 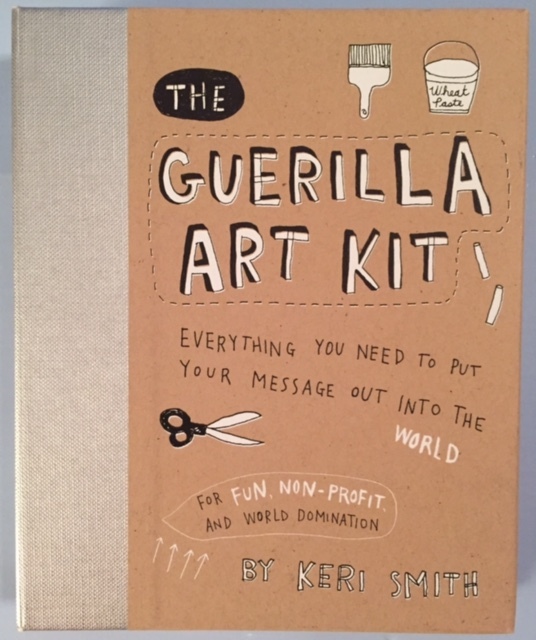 I first discovered this movement about five years ago when I came across Keri Smith’s book, The Guerilla Art Kit. I admit, the term ‘guerilla’ hooked me. The premise and execution were both simple: make art, preferably out of recycled materials, and leave it anonymously for others to find and enjoy. Yesterday, while reading about ‘make-it, leave-it’ artists and projects, I found an article by Drew Trachtenburg on the Daily Finance website entitled “The Art of Letting Go: Trend Sets Paintings Free, Randomly.” Trachtenburg recounts the story of Eleni Zatz Litt’s experience with abandoning art. She inherited almost 600 paintings from her father’s estate, and couldn’t keep them all, so she decided to give them away. For October, deMeng’s challenge is to create calaveras, in honor of The Day of the Dead. Interesting. As my 30 Day Blog Challenge is coming to a close, I am in the process of thinking about the next 30 Day challenge. Making and abandoning art, and creating blog posts around the process, is a strong possibility. Have any of you made and then abandoned art?